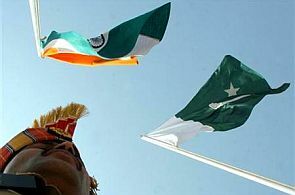 Industry leaders from India and Pakistan are set to chart out a new road map for doing business in each other’s country in an effort to normalise trading relations during the first-ever meeting of the India-Pakistan Joint Business Council on June 29 in Islamabad. Both sides are expected to discuss some of the important issues like granting the most favoured nation (MFN) trade status to India, agriculture and textile exports, the Tapi pipeline and cooperation in infrastructure and information technology. The proposed Tapi pipeline seeks to transport the Caspian Sea natural gas from Turkmenistan through Afghanistan into Pakistan and then to India. The business council will be a body consisting of 15 industry captains from both sides, which are notified by the respective governments. The Indian side will be co-chaired by Sunil K Munjal of Hero MotoCorp Ltd, along with Syed Yawar Ali, chairman at Nestle Pakistan Ltd.
“This will be the first-ever meeting of the joint business council with the objective to strengthen India-Pakistan ties, which will be private sector-driven, yet, will be supported by the governments on both sides,” said a senior official from the Confederation of Indian Industry (CII), who did not want to be named. new Prime Minister Nawaz Sharif and his senior cabinet ministers. The MFN issue is of prime importance to India as it wants to have greater access in the Pakistani markets. Pakistan missed the deadline of granting the MFN trade status to India in December. The Tapi gas project entails creation of a 60-km pipeline from Jalandhar to Wagah via Attari. India and Pakistan have plans to trade around 400 million cubic feet of gas to address the issue of energy crisis in Pakistan. On Monday, Indian industry leaders under CII met Pakistan high commissioner Salman Bashir to discuss “prospects of economic and trade cooperation between Pakistan and India”, said statement issued by the Pakistan High Commission. “Both sides have identified eight areas of cooperation. This time, the focus will also be on relaxing visas for students as we are going to focus on student exchanges, besides getting more access for our textiles industry. We will also raise the issue of removing non-tariff barriers and guidelines for investment,” an official from Pakistan High Commission said. The council is expected to meet every six months and it would also do advisory work by giving recommendations to the government to increase two-way trade and investment.